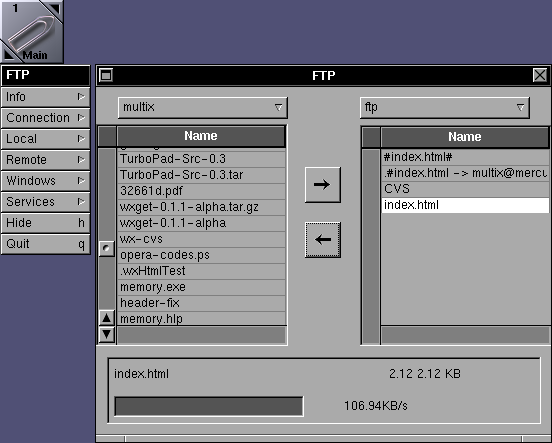 FTP is a file transfer application (RFC 765) featuring a compact and easy interface. 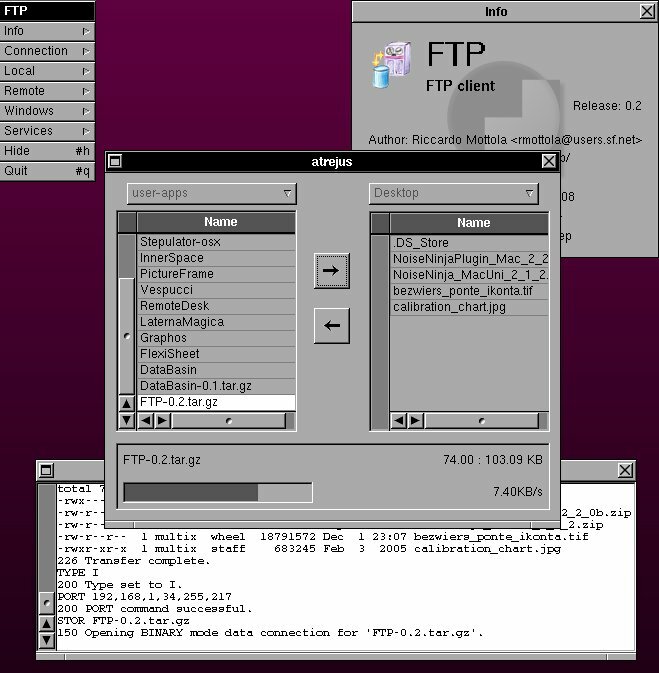 As most applications in GAP it tries to work on both GNUstep and MacOS X and retain the utmost possible simlilarity among the two version to ease working in both environments. Two panes manage local (left) and remote (right) resources. Transfer of single files as well as multiple selection is possible, recursive upload (directories and sub-directories) is performed transparently.